Our new Energy Engineering movie. Please click here! We are happy to announce that the extension of the DAAD transnational education (TNB) project El Gouna Graduate School in the framework of TNB-STEP was approved on February 6, 2019. 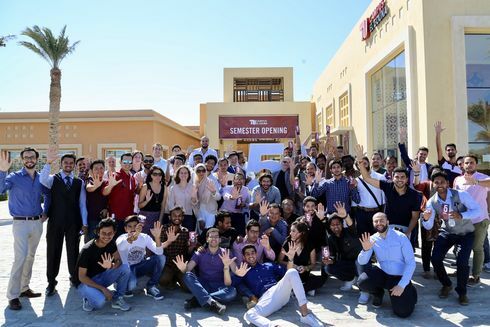 The El Gouna Graduate School was first approved in 2015 to strengthen the profile of TU Berlin Campus El Gouna and was granted a second funding to intensify its activities until 2023, when it is expected to achieve self-sustained operation. The project is supported by the German Academic Exchange Service (DAAD) with funds provided by the Federal Ministry of Education and Research (BMBF) and managed by Prof. Tetyana Morozyuk, the head of the Energy Engineering Department at TU Berlin Campus El Gouna. Since 2001 the DAAD systematically supports German universities in establishing transnational education presence abroad. The TNB-STEP subprogram supports the qualitative development and expansion of already well-established TNB presence. The implementation of the innovative and market-oriented Master programs M.Sc. Business Engineering (MBE) and M.Sc. 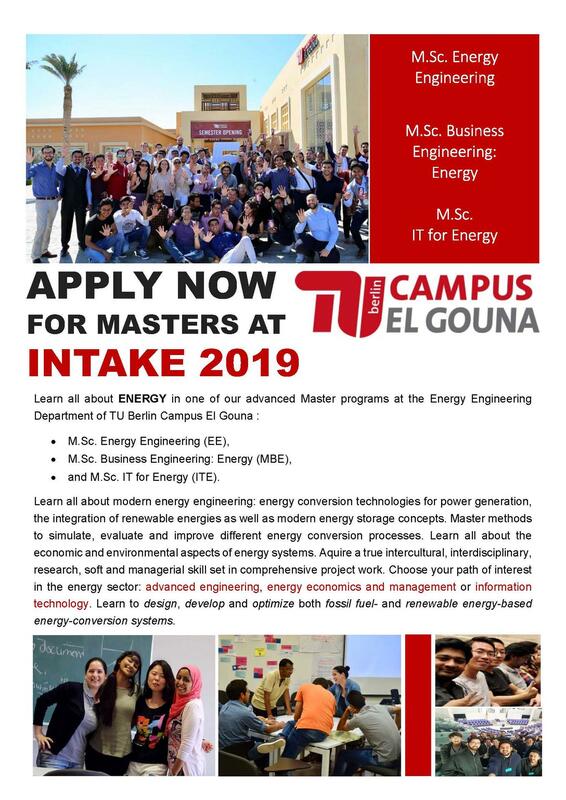 IT for Energy (ITE) at the Campus El Gouna was positively evaluated by an external expert committee in May 2018. With the now awarded extension, the qualitative optimization of the transnational educational offers at Campus El Gouna will be carried on. This continuation includes the extension and optimization of the MBE and ITE programs, diversification of the German language offers, implementation of distance- and e-learning methods, application for international accreditation, hosting of scientific conferences and topic-related workshops, facilitation of research activities and industry cooperation to increase the visibility of Campus El Gouna as TU Berlin’s research hub in the MENA region. On Wednesday, 2nd of May 2018, students from the Energy Engineering department visited the impressive historical Parliament building of Germany. The building was reconstructed in 1999 after being burned in 1933, and bombed during the World War II. 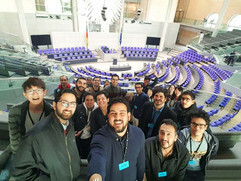 The Bundestag building which was formerly know as the Reichstag building is now remarkable by its glittering glass dome, which is served by a lift and affords a fabulous 360-degree view for the city. What was also interesting to the students is the use of renewable energy technologies in the building, using biodiesel and photovoltaics as well as natural lighting techniques which is used for lighting the main hall and employing passive cooling for the glass dome. 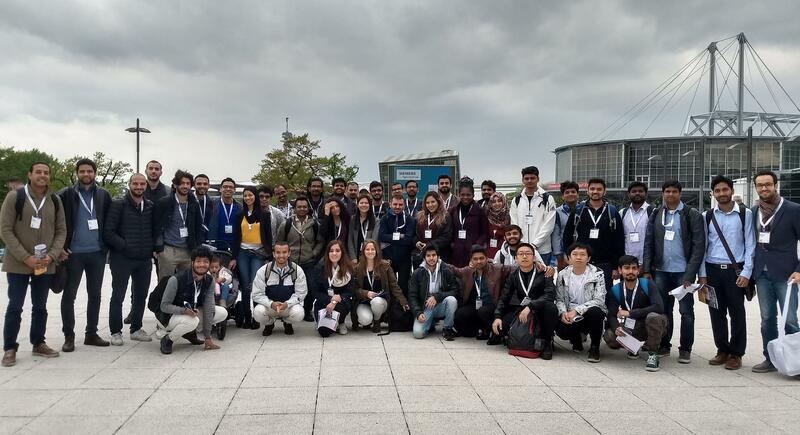 On Wednesday 25th of April 2018 our EE, MBE and ITE students visited Hannover Messe “The world’s leading Trade Fair for industrial Technology”. Where all key technologies and core areas of industry – from research and development, industrial automation, IT, industrial supply, production technologies and services to energy and mobility technologies are presented. Every year our students have the opportunity to meet all company representatives at the exhibition and the chance to understand from them the updated market challenges and exchange ideas related to the energy sector, the German market and the global market in general. 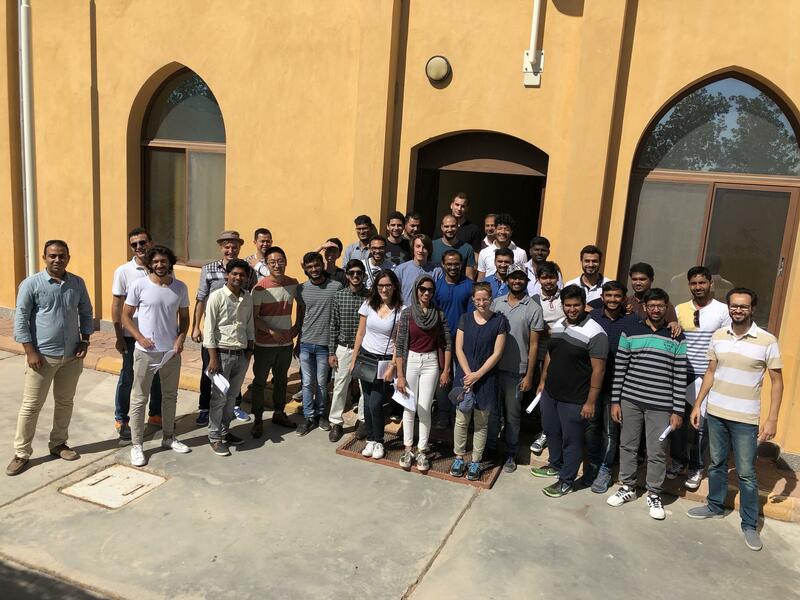 The Energy Engineering seniors batch at Karmsolar's Photovoltaics 2.2 MWp power plant in Sahl Hasheesh. 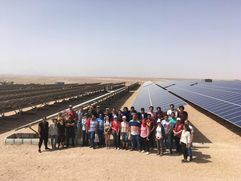 The power plant is the first Feed in tariff operational PV plant in Egypt, operating since April 2017. 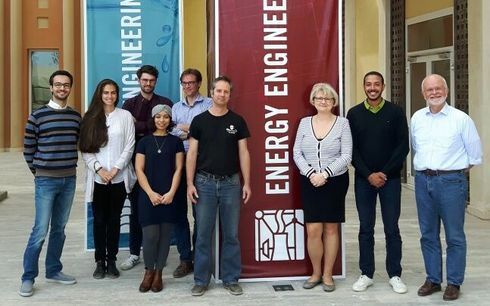 Many thanks to Karmsolar team (Yehia Elkady: Project Manager, Yomna Farouk: Project Coordinator, Abdelrahman Elshazly: Project Engineer, Aly El Azhary: Business Developer and Amin Gado: Technical Manager) for their support and collaboration together with Amr Sherif the head of Projects at Sahl Hasheesh. After being able to simulate and design PV projects at our PC pool, the students were able to get a clear overview about the commercial and technical aspects of Photovoltaics projects and current market status. 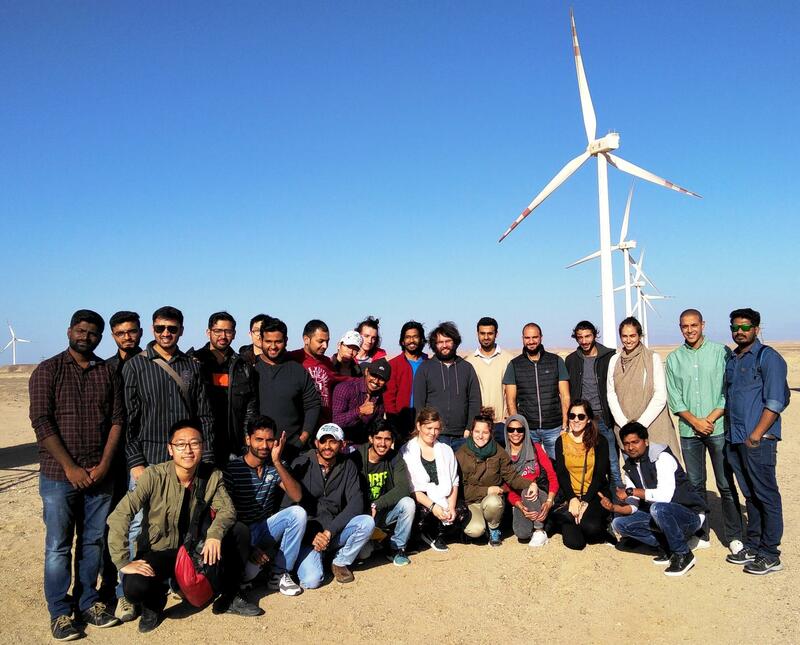 Through mutual cooperation between the Technical University Berlin and the New and Renewable Energy Authority in Egypt (NREA), on Sunday the 14th of January 2018 students of the first semester of the Energy Engineering department conducted an excursion to Gabal Elzayt windfarm. 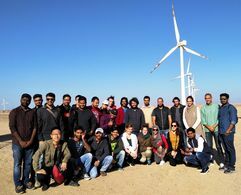 The farm is the latest and most advanced windfarm connected to the grid in Egypt. 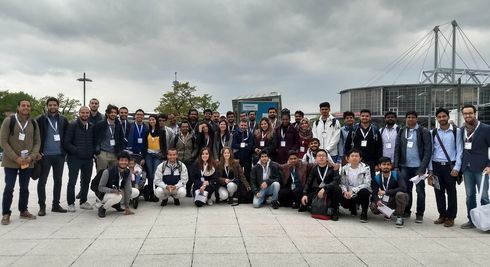 During the excursion, the students got an insight on how the theoretical systems being taught in the university are operated under real life conditions and how wind farms are being managed and operated. The students also got an idea about the regular maintenance of the farm as well as the problems facing the windfarm operators. 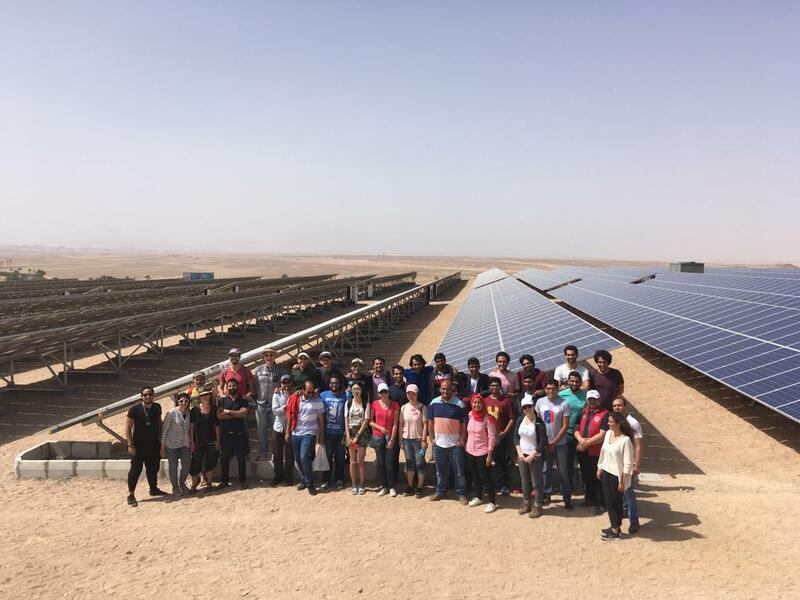 The excursion showed the students best practice examples from the latest energy projects in Egypt and deepens their understanding for future challenges. Desert panorama on the 2017 safari tour with the Energy Engineering Department students. 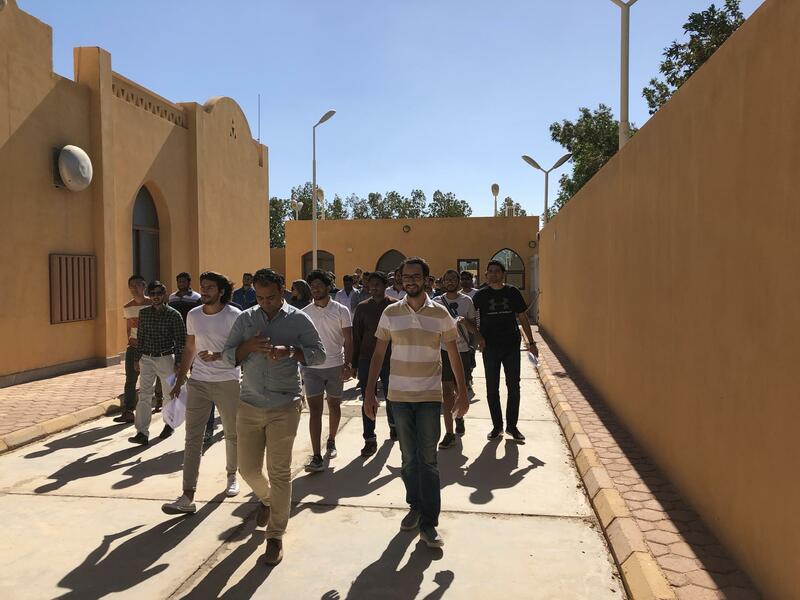 Students of the new intake of the Energy Engineering department gathered together to participate in a desert trip to built up friendships among each other and learn about the rich Egyptian culture of Bedouin people. The trip featured a panorama spot and a tour through a Bedouin village. There the students learned about traditional and current life in the mountains between the Red Sea and the Nile valley. The tour ended with a Bedouin barbeque and dance and fire show. The Indian students closed the party with an introduction their cultural dances. 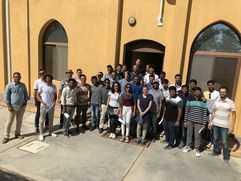 The new cohort of the Energy Engineering Department (including the study course of Energy Engineering, IT for Energy, and Master of Business Engineering) took a close look to El Gounas facilities and learned how the city is supplied with electricity and water. Engineer Rimon Ezzat and Tarek Elbanna showed and explained El Gounas main connection to the national 66kV grid. Furthermore, El Gounas back-up capacity in case of blackouts was shown. The diesel generator backup can supply up to 70% of El Gounas full load capacity. Last highlight was the visit of the desalination plant. The student learned how the brackish groundwater is pumped from wells into the plant and being filtered in a process called reverse osmosis. A special thanks is given to Engineer Ashraf Helal who answered all questions in detail and gave a deep look into the process itself. 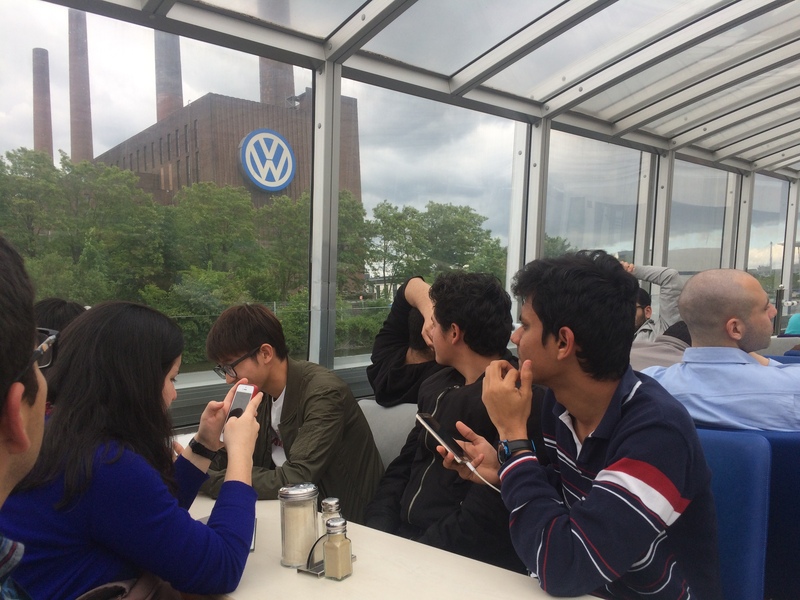 On Wednesday, 24 May 2017 Students of the 3 Master Programs ITE, MBE and EE went to „Autostadt Wolfsburg“ and visit the Volkswagen buildings and could took a closer look to the assembly of the new VW Golf. The most-impressive cars in Autostadt are on display in the magnificent ZeitHaus car museum, were Classic Cars meets Contemporary Art. It claims to be the most frequently visited car museum in the world. Here, around hundred cars are exhibited from a collection that includes over 60 brands and provide an overview of the most important eras in the development of the car. 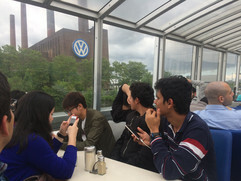 Afterwards all the students could relaxed and enjoy their new impressions by a panorama boat tour on the “Mittellandkanal” before they return to Berlin. 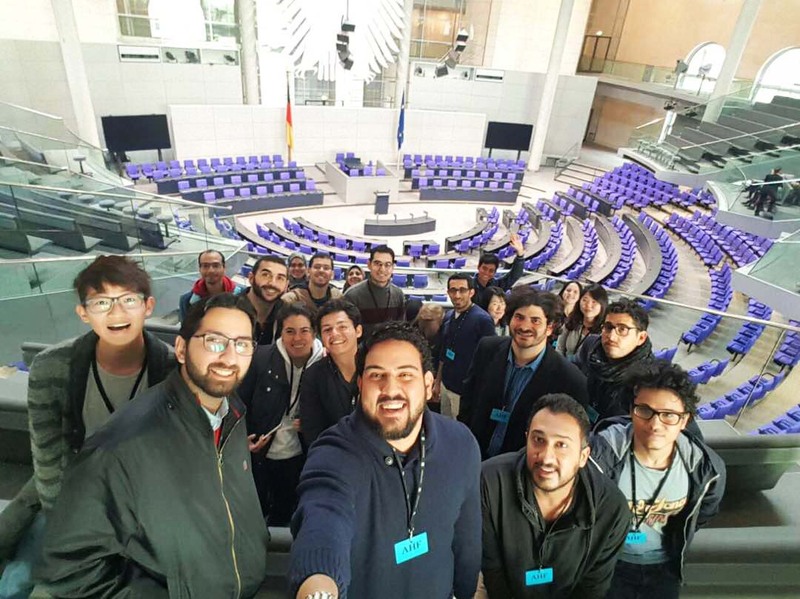 On Saturday, 6 May 2017 - 22 students were invited to discover the Reichstag parliamentary building, one of the most emblematic buildings in the heart of Berlin. Very spectacular is the economic way, to serve the building with energy and a mechanical ventilation system. 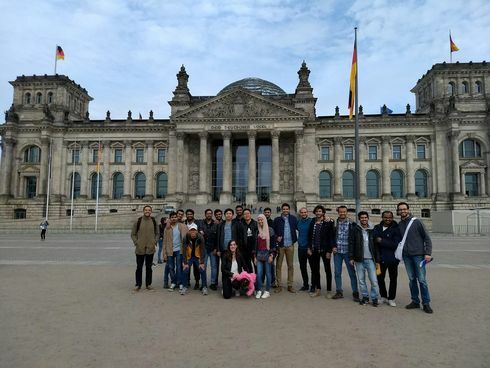 The excursion, guided by Christoph Banhardt, includes a historic tour through the building and a visit of the glazed dome of the building, designed by British architect Norman Foster. On 23 February 2017 it was a nice and sunny day to start our excursion with Prof. Tsatsaronis to the Power Plant Station in Hurghada (Egypt). 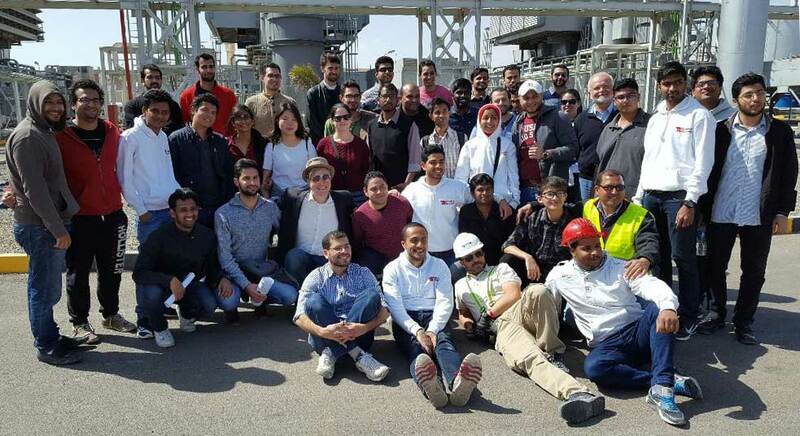 Nearly 40 students of the Master's program Energy Engineering (EE) at TU Berlin Campus El Gouna took the chance to go out far beyond schoolbooks to learn more in real-life conditions how a Power Station works. A short Introduction about the history and the significance of the Power Station to the region was given by the Manager of Power Plant from ministry of electricity and energy (moee) Egypt. Eng. Monir and the commencing engineers explained further interesting details about the power plant station, which was recently extended with new “general electrics” gas turbines. All the students agreed: "It is a great experience to see in real life, what we have learned in lectures of Prof. Tsatsaronis."